A classic Marko Sambraillo solid crayfishing vessel of dynell sheathed marine ply over jarrah frame construction. Built in 1980, she completed commercial service until 1995 when she was totally refurbished in a complete overhaul with great expenditure. Powered by a hearty 8V92 Detroit Diesel. Engine was refreshed in 2005 by MTU Detroit Australia. 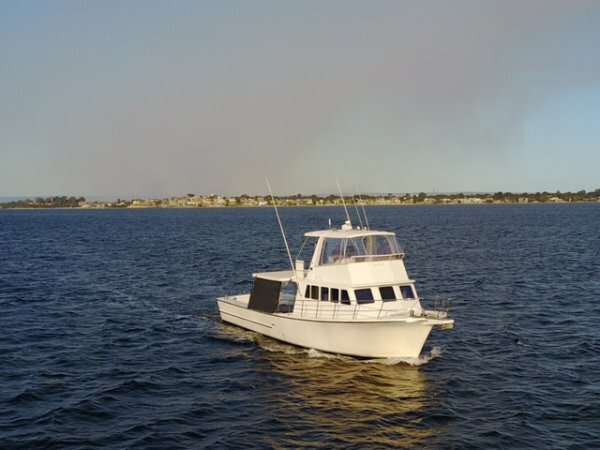 She has been much loved by the present owners, a large family of boating enthusiasts. Since 2004 this vessel has had well over $150,000 worth of modifications, upgrades and improvements added. The vessel is ready for inspection on the Swan River. Please contact Oceaneer Marine for full inventory and details.